It’s Friday, it’s time to treat yourself. And nothing helps you work harder than some regular treats! 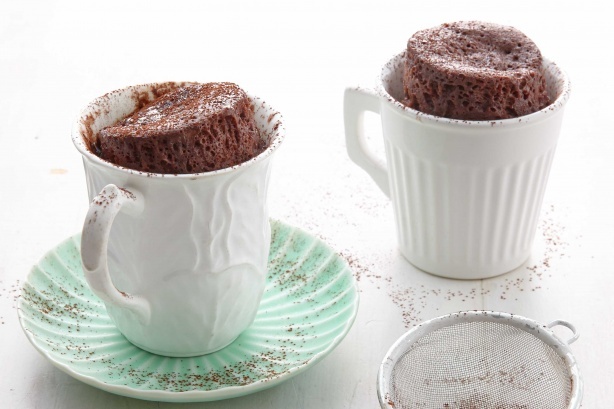 This week, why not reward yourself with this easy peasy cake in a cup. Sift flour, cocoa powder and salt into a small bowl, stir through the sugar. In a separate small bowl, whisk the egg, milk, butter and vanilla. Add the wet ingredients to the dry ingredients and stir with a fork until just combined. Spoon mixture into a 2 cups capacity (500ml) mug. Microwave on high for 70-90 seconds, or until pudding has risen and top is just set. Do not overcook. Dust with extra cocoa powder, serve immediately. Recipe courtesy of Taste.com Copyright statement.